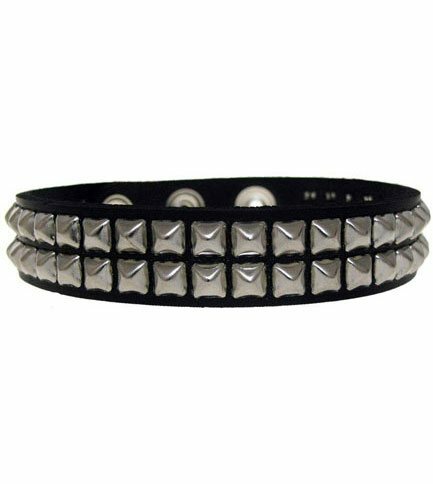 Leather choker with two rows of mini pyramids and 3/4 inch wide adjustable snap fastener at 1 inch increment. Made in the USA. 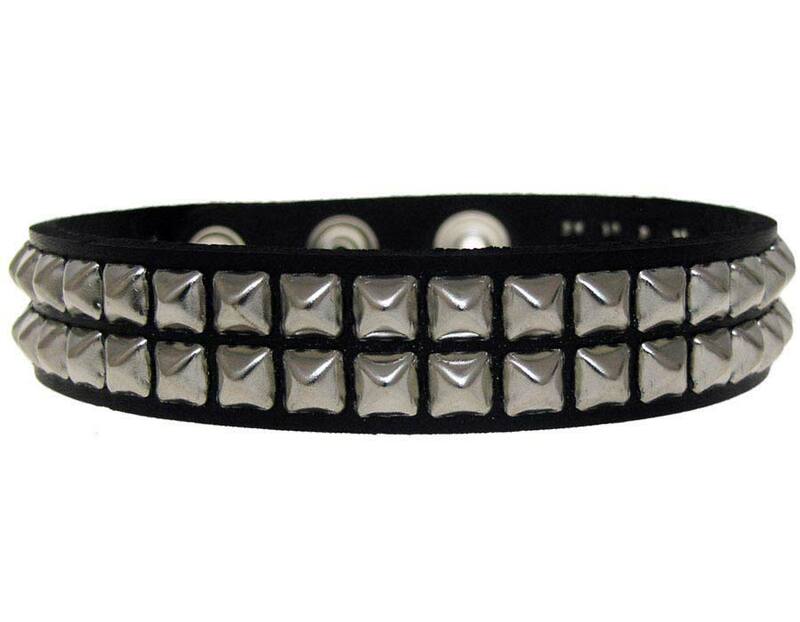 I could not find a brand new choker for under $20. I am very pleased with this product over all. I think that they should make them in a more variety of sizes (preferably bigger).